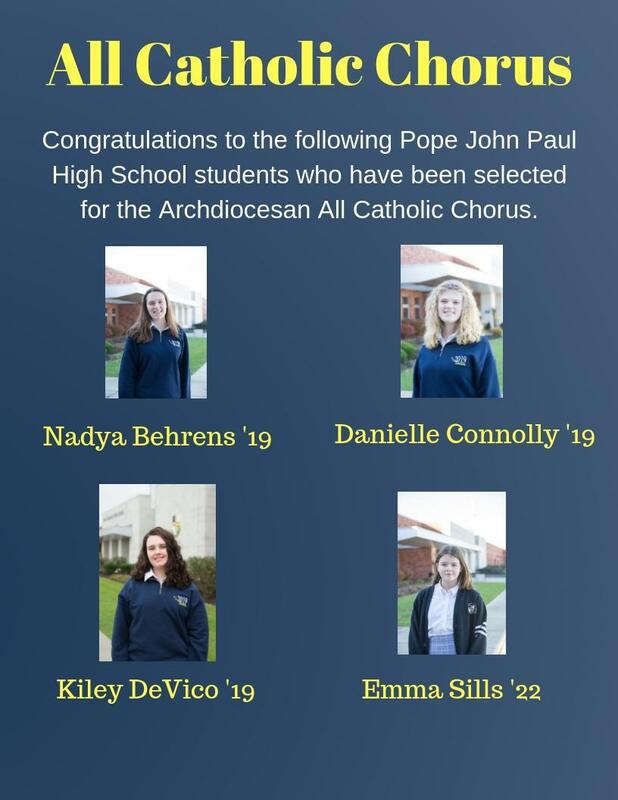 Pope John Paul II High School is proud to announce that 18 students have auditioned and been accepted into the various Archdiocesan All Catholic Ensembles. 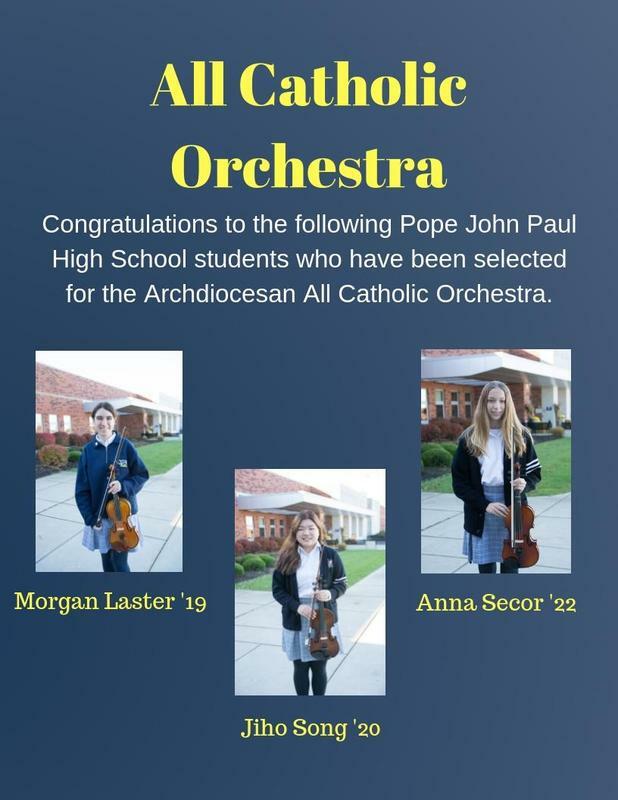 While PJP always had a constant representation in the All Catholic ensembles since the school opening in 2010, this is largest number of PJP students to date selected! 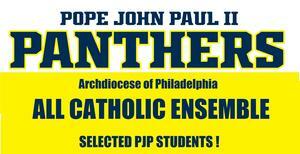 Students from across all the Archdiocesan High Schools and Philadelphia Area Catholic Preparatory Schools are invited to audition for these ensembles. This is a highly competitive process in which students must audition in several musical areas. They are graded by a panel of judges who score each individual musician. The students are then selected by their score, which is based not only on their performance on their instrument but also on their technique, sight reading skills, and knowledge of music. Involvement in each ensemble requires extra rehearsals both at PJP and other Archdiocesan High Schools, learning numerous performance pieces and finally culminating in a 3-day Festival and Concert. For each 3-day Festival, a guest conductor (a Music Professor from local and sometimes national universities) is brought in to work with the students to perfect and teach the concert pieces. This wonderful and unique experience gives students the opportunity to perform with other students of equal caliber from across the Archdiocese. Principal Fr. 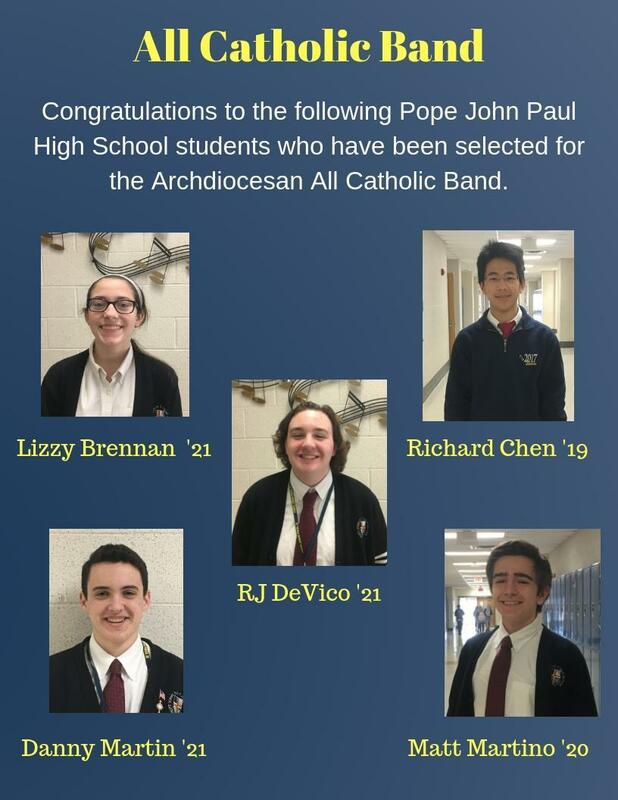 Brian Kean congratulated PJP students stating, "As a school community we are so proud of the number of PJP students who auditioned and have been invited to participate in All Catholic Band, Orchestra and Chorus this year. 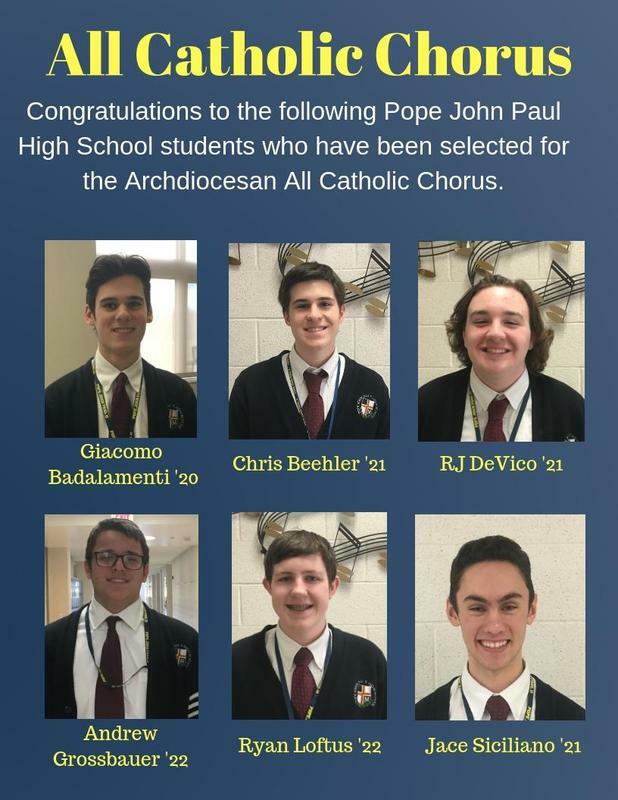 I am very proud of each of these students’ dedication and commitment, and look forward to attending their performances as they share their God given talents at these yearly, prestigious Archdiocesan events." PJP is very proud of our students for continuing to share our legacy and making an impact in the Arts!